I saw the above quote from “The Jiu-Jitsu Life” by accident and felt it really resonated with me, so I share and translate the quote here. The importance of Sifu or coach is go without saying. The role of a a training partner or a Kung Fu brother is critical to gain any level of combat skill in martial arts; unless one trains martial art only for health reason or only practices the forms. I truly feel that I am forever indebted to my training partners/Kung Fu brothers; without them I would not be able to reach the level that I am today. 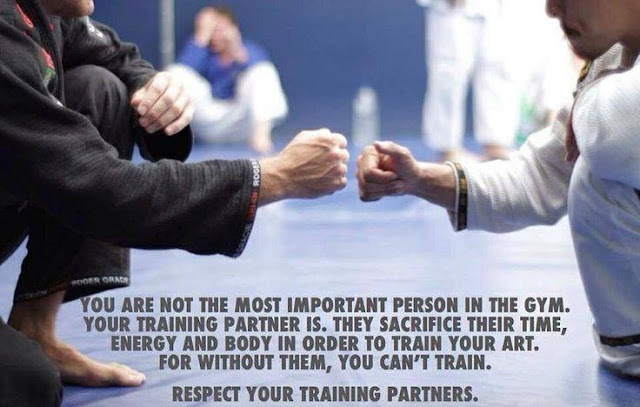 I often remind my students to respect and watch out for their training partners’ safety during training. If they don’t then one day they will be left with no one to train with and their martial art will never improve from that point on.